If you know what chum is, you’re probably puking right now. 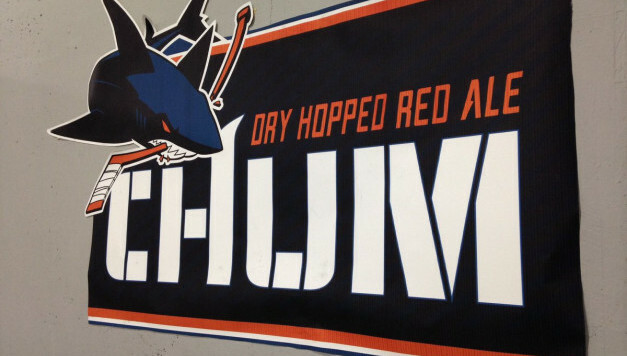 But “chum” is the name of a new craft beer that is the product of Gordon Biersch’s Brewing company, and the NHL’s San Jose Sharks. It’s a dry hopped red ale, which represents the blood from the fish parts which attract sharks. And just as chum attracts real sharks, this chum will get the hockey team to come to your house and drink with you. I guess that’s the hook of the name? On the heels of a Stanley Cup Final berth (even though the beer was originally slated to come out last year), there should be plenty of this flowing at SAP Center and around the city this season. That is, if people can get over the name.